In memory of the angels that walk among us. The world is, in essence, a beautiful place, it showers us with love, hope, and peace that reminds each and all of us just how blessed we truly are. Love is an epiphany of what is so right and how true it can be. Smiles are a reflection of the joy we feel as we bring life and hope. Negativity surrounds us all, day in day out, where ever we turn, and it is one’s determination not to feed negative emotions reflected by the dissolution of precedence that embarks a crazy world. Instead, we can highlight the beautiful memories many have shared with these beautiful souls and until we understand tears, loss, appreciate peace and believe in the goodness we will never be free of the emotional roller coaster besotted by a disillusioned group. We are united in love and strengthened in hope, and as humanity, we are guided by goodness and will keep teaching our young ones that we are in this together. Fear is not our way of life, nor is it part of who we are. Fear is not our world nor our future generations. 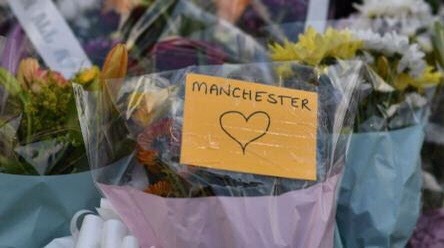 Although, Manchester and the world will never forget these dark moments. There are many sets of parents, children, and partners without a daughter or a son, parent or loved one most of all the emptiness of a best friend, this Christmas. They are held in a nation’s heart and treasured with warmth as we embrace the families and tell them that these beautiful souls will forever be our heroes in all our hearts. A memorandum and a legacy that gives each and all of us strength. The candle of peace will light our front porch with flowers surrounding your heart tonight as we remember your mesmerizing smiles and say thank you for being the most beautiful smiles that you were. Beauty will always live on in our world, and that’s a reality that no disillusioned soul could ever leave a scar or fear in our heart.